You could win 2 cookie mixes (winner’s choice of flavors) from Good Natured Gourmet! Choose from the Live Collection (for pregnant/nursing moms), or the Love Collection (formulated to enhance romance)! Ends March 25 (11:59pm). Enter for your chance to win the Knock on Wood Giveaway event – you could win a JORD Sully Wooden Watch AND a 48? Teak Bench! ARV of prize package is $330! Ends March 25 (11:59pm). Enter to win an amazing assortment of prizes for the kitchen – a WonderTop Stainless Steel Food Prep Station, a Kalorik 3 Tier Food Steamer, and an assortment of kitchen gadgets from Prepara! ARV $265! Ends March 25 (11:59pm). One lucky winner will win a Disney Frozen Movie Night Package that includes Disney’s Frozen on Blu-Ray, 5 FREE Kidfresh Coupons & 5 $1 off Kidfresh Coupons. (Value $40). Ends March 25 (11:59pm). Enter to win a Perfect Bib – the all-in-one wipe-clean bib, placemat, pocket-bib, art smock, and more! How many uses can YOU find for it? 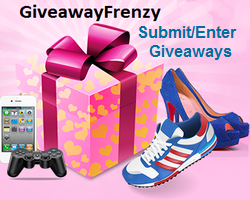 ARV $11.99; giveaway ends March 30 (11:59pm). FIVE readers will win a Little Green Pouch Starter Kit and a 4-pack of pouches in the Squeeze Your Pouch Giveaway! Ends April 7 (11:59pm). Enter to win one of four Easter themed prize packages! The Grand Prize is The Ultimate Personalized Easter Basket (ARV $59.99), complete with a stuffed bunny, chocolate bunnies, jelly beans, Peeps, & more! This basket is personalized and available in designs for either a boy or a girl. Ends April 7 (11:59pm). Two very lucky winners will be able to chose their own sewing pattern of choice from Opulent Monsters as well as three (3) sewing kits per winner! Winners will be allowed to choose which size of Monster Bunz they would like to make with the kit and for which gender(s) they would like their kits for. Ends April 8 (12:59am). The BRV-1 (ARV $180) gives action sports and outdoor enthusiasts 12 hours of music – with its IPX5 certified water resistant, shock absorbent, ultra-lightweight and compact design, the palm-sized speaker is set to rock in any environment! Ends April 8 (11:59pm).